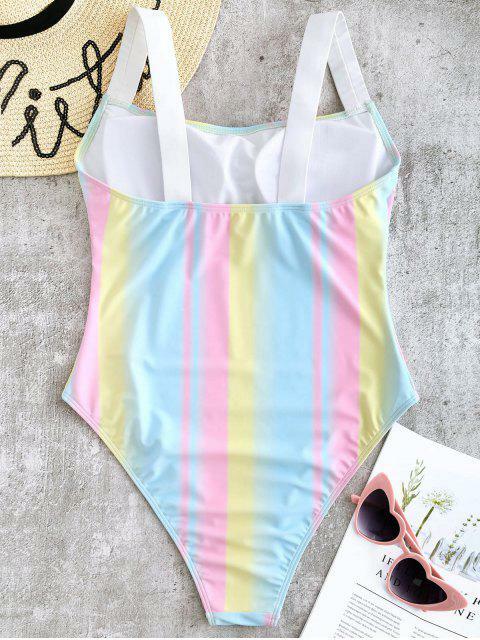 [13% OFF] 2019 Square Neck Ombre High Cut Swimsuit In MULTI | ZAFUL ..
Looks exaclty like the pictures! I absolutely love this simple ones piece! 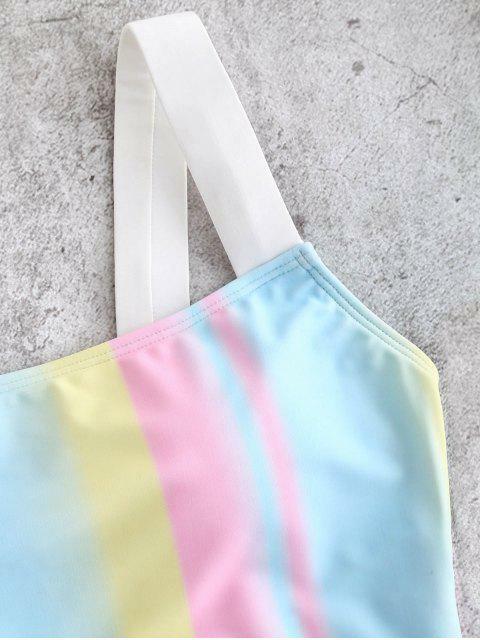 Pretty ombre stripes give an illusion of rainbow of this one-piece swimsuit featuring thicker shoulder straps creating a trending square collar and offering added support. The super high-cut openings greatly shape the curves and elongate for a perfect proportion of the stunning beach style. Padded cups help to shape the bust.